The wineglass that lets the wine express itself. Exploreur® Classic is blown in top quality lead-free glass. The Aroma Line is a technical achievement that took over two years to accomplish. Each Exploreur® Classic is a unique glass. International patent. Aroma guide included. Blown glass. Made in Europe. 1. 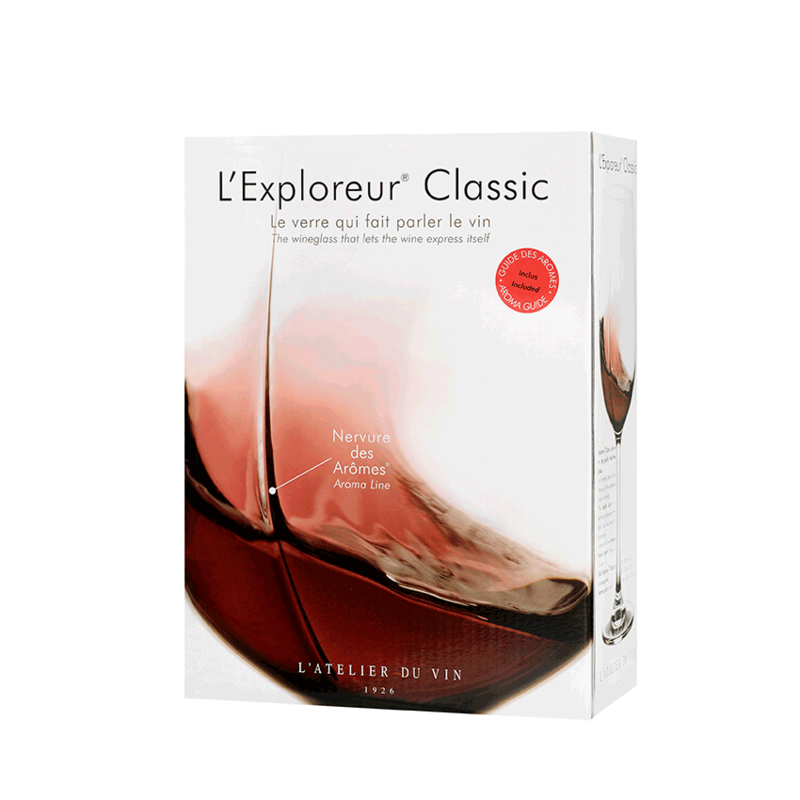 First, without twirling the glass, sniff the wine inyour Exploreur® Classic. 2. Now swirl the wine for a couple of seconds inyour Exploreur® Classic. 3. Smell the difference… The stronger aromasbecome more powerful and their definition improves. Other, more subtle aromas come to the fore.